354 Bridgetown Pass showcases 5 bedrooms, 5.5 baths, and 4,831 square feet in a stunning open concept layout. This custom-built home in Mount Pleasant’s Belle Hall is equipped with impressive design throughout while offering a chef’s kitchen, expansive rooms, and impressive outdoor living spaces. Upon entering, you will immediately notice an illuminated interior with fine detail as you approach the foyer and dining room that flaunt board and batten trim. 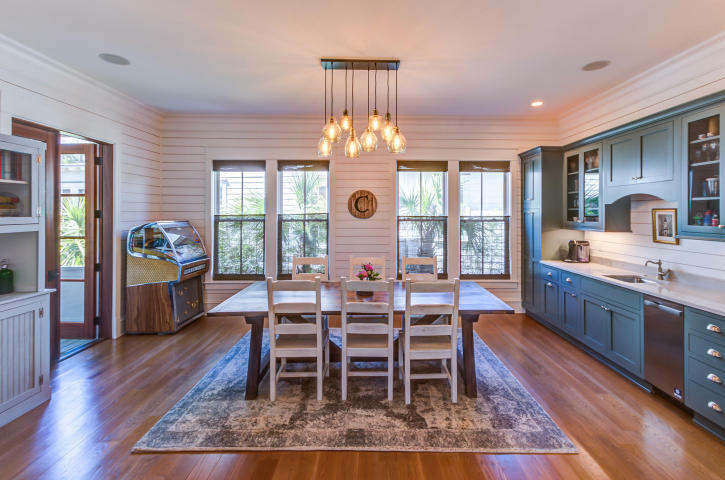 Shiplap is featured throughout the eat-in kitchen and living room with attentive detail to the light fixtures, ceiling, and woodwork. 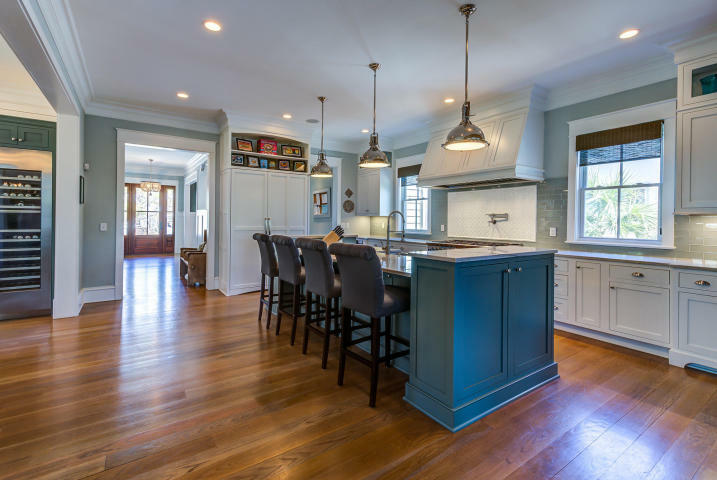 The custom chef’s kitchen includes a built-in fridge, farmhouse stainless sink, Blue Star Range with a commercial-grade hood, Miele dishwasher, custom cabinetry, and Quartzite countertops. In addition, the eat-in area has an extensive butler’s pantry with a bar sink and Thermador wine cooler. 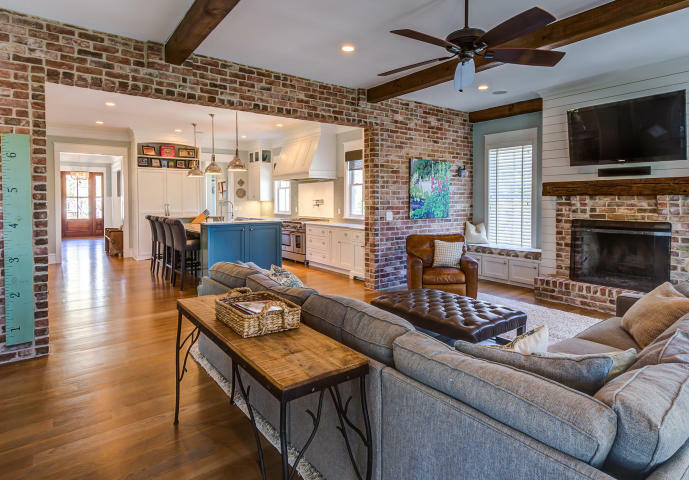 Continuing with the open concept, the spacious living room boasts exposed wooden beams, a brick fireplace, built-in window seat, and a brick accent wall between the two main rooms. 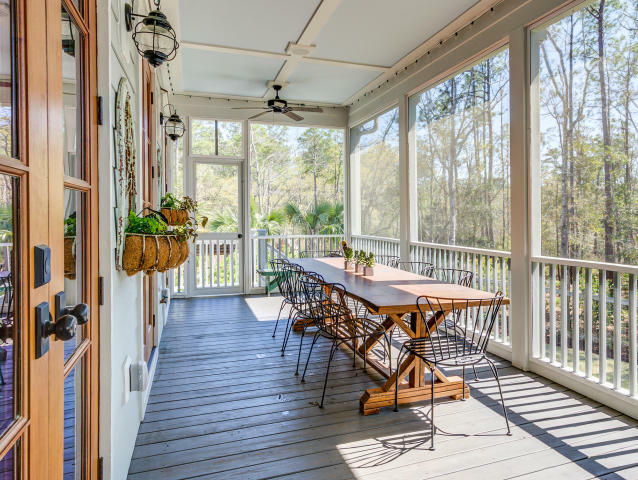 Embrace the peacefulness as you relax on a large screened porch off the living room. This is a true entertaining space as it boasts a brick fireplace, marsh views, and outside built-in grill area with a rotisserie, commercial-grade hood, and storage drawers. A private fenced-in backyard showcases plenty of space as it includes a fire pit and two patio areas. In addition, a mudroom and large pantry with built-in shelves are accessible from the side of the home. On the second level, the gorgeous master bedroom showcases a vaulted shiplap ceiling with dazzling natural light, walk-in closets, and an en-suite with a custom soaker tub, large walk-in shower, and dual vanities with a marble finish. The sitting room located off the master is a great space to transform into a workout room or home office. Next, there are four additional bedrooms, all of which are well-sized and offer designer finishes with shiplap accents and beautiful trim work. 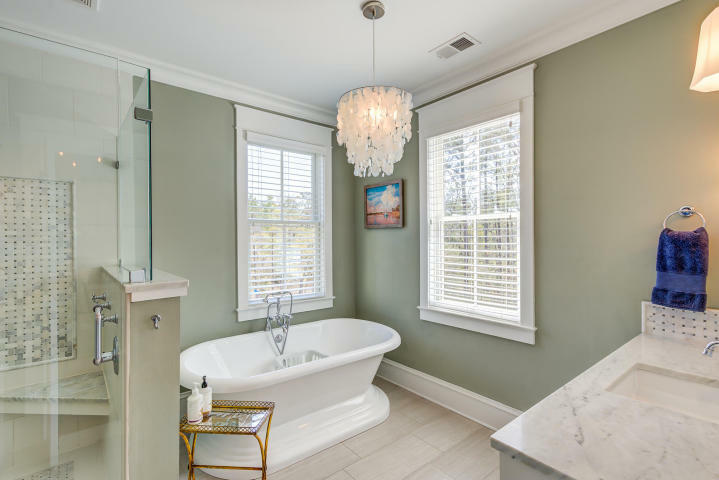 The bathrooms also embrace the same elegant design and detail to correspond with the home. Additionally, the third level offers a large flex room with a charming built-in window seat. Located in Belle Hall, 354 Bridgetown Pass has access to wonderful neighborhood amenities including a clubhouse, pool, play park, tennis courts, and walk/jog trails. 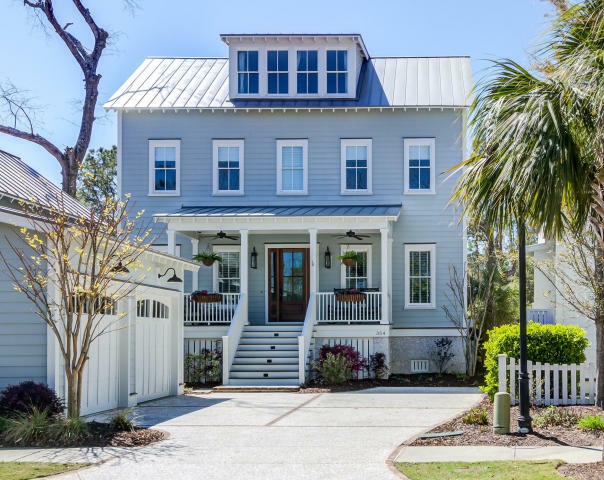 This location is also in close proximity to Sullivan’s Island, Isle of Palms, and numerous Mount Pleasant attractions. For more information on this listing or to set up a showing, please contact listing agent Melissa Martin. Click here to see more homes for sale in Mount Pleasant.